Giving you complete control of your photos, communication, and more! Questions & Answers regarding this app are located HERE. Ploinks® is the new private way to communicate. With Ploinks®, our whole goal is your privacy. It’s fast and easy to use but most of all, it’s secure. Unlike other apps, Ploinks® never has access to your data. That’s right! Our patented peer-to-peer technology secures your information by using your own personal web server! Ploinks® is easy to use to share photos from your mobile device with other Ploinks® users. With the Ploinks® Puddle, data will synchronize in real time easily between the Puddle and your mobile device, and it is 100% private. 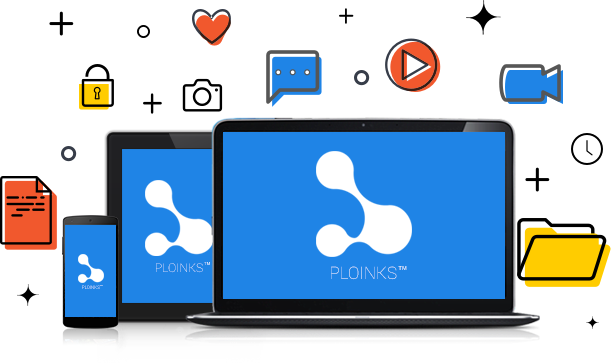 You can be assured that your personally shared data is secured with Ploinks®! 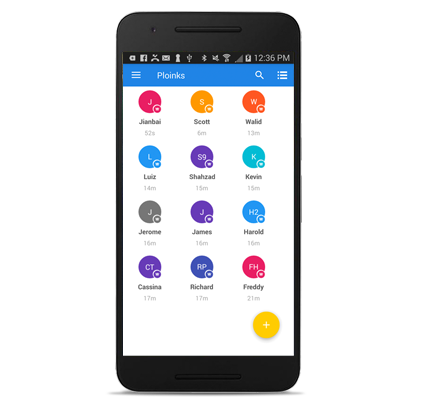 Ploinks® is the first and only app in which you can permanently delete a communication… forever. In other apps, once your data is sent, it’s saved in the cloud for your friend to see when they arrive to their device. With Ploinks®, if you change your mind and delete shared data – at any time – it’s gone in real time! Forever! One key difference from other security solutions publicly available is that with Ploinks® the user's data is not backed up or stored in the cloud on a centralized server where it can be hacked or stolen. With Ploinks®, there’s never a need for the cloud. Cloud servers store data from millions of users on multiple cloud-based systems daily thereby leaving your data susceptible to internet hacks. Ploinks® stores your data directly on your mobile device to be seen by only the eyes you share it with… and when you’re ready to stop sharing, it’s gone! Your personal content never leaves your control. Let Ploinks® put you back in control of your privacy!